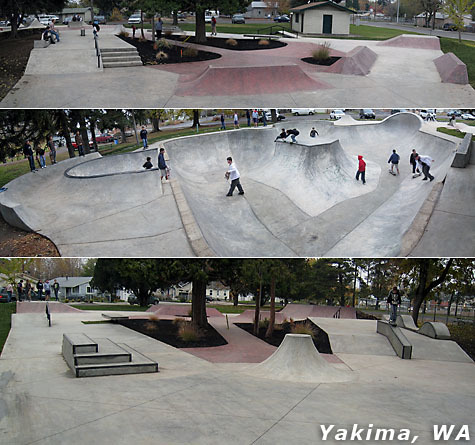 If you are in or around Central Washington, be sure to stop and sample Grindline’s latest creation, the recently opened Yakima Skatepark. If you have any photos of folks shredding the park, feel free to share them on the Earth Patrol Network. Show us the rad! Also, check out the new Grindline website for all the dirt on existing and upcoming Grindline projects. EPM Out! Photos courtesy of Grindline Skateparks. Skated Yakima on our way back from our Montana trip. Eventhough it was dark and the lights are fairly minimal, we had a good time. Definitely will make a point to head back there and skate during daylight hours.